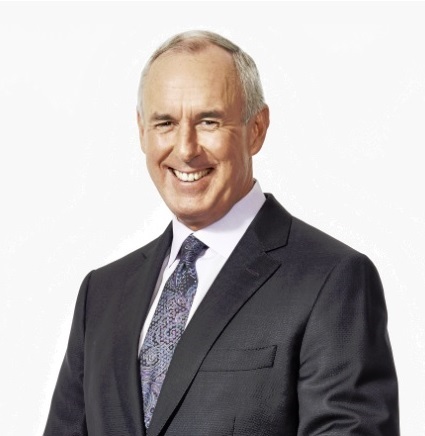 Ron MacLean brings more than 30 years of award-winning experience to his role as host of Hockey Night in Canad, Coach’s Corner, and Rogers Hometown Hockey. MacLean’s extensive knowledge and passion for the game of hockey, combined with 28 years of hosting Hockey Night in Canada, has made him one of the country’s most famous and beloved broadcasters. In 2015, MacLean and Cherry were inducted to Canada’s Walk of Fame, a prestigious honour acknowledging the achievements and accomplishments of successful Canadians. MacLean began his broadcasting career in 1978 at CKRD Radio in Red Deer, Alberta, and in 1984 became host of the Calgary Flames television broadcasts on CFAC in Calgary. He became the sports anchor on the local evening news before joining CBC in 1986 as host of the Toronto Maple Leaf broadcasts on Hockey Night in Canada. In 1987, MacLean became national host of Hockey Night in Canada, which included hosting the legendary Coach’s Corner with Don Cherry. During his career with CBC, MacLean also hosted 11 Olympic Games, the Commonwealth Games, IAAF World Championships, World Cup Hockey, the Calgary Stampede and Queen’s Plate. In 2015, MacLean was recognized for his work on Hockey Night in Canada with a Canadian Screen Award for Best Host in a Sports Program or Series, adding to the already 10 Gemini Awards he’s received, including Best Host / Broadcaster in a Sports Program (1992, 1994, 1998, 2001 and 2007), as well as Best Host for Hockey Day in Canada (2004, 2006 and 2008). He is also a two-time George Gross Award recipient, honouring excellence in sports broadcasting. MacLean published his second book “Hockey Towns: Untold Stories from the Heart of Canada” in October 2015. Co-authored by Kirstie McLellan Day, the book tells untold hockey stories from towns across the country. His first book, “Cornered”, also co-authored by McLellan Day, is a Canadian best seller. MacLean is a former Level 5 referee for the Canadian Amateur Hockey Association and lives with his wife, Cari, in Oakville, ON.